By the way, head over to my instagram and make sure you’re entered to win my Enjoy Life Foods Valentine’s Day giveaway! The winner gets a love-filled box of pancake & waffle mix, dark chocolate morsels, a free product coupon, and a HEART-SHAPED pancake mold! I know, it’s some great allergy-free stuff 😉 (The giveaway ends Sunday night!!!) And with that I’ll leave you to browse this week’s Finisher, finish planning your Valentine’s Day treats and prepare for a lovely weekend! Self-love and pampering or sharing the day with your love bug(s), I hope you have a wonderful weekend! Such a great visualization practice! Time to try and raise yourself up! All too real! Let’s vow to “ruin” overthinking! Read this, read this, read this! We can make things right, little by little! There are no standards anymore. Any joe’shmo can get “certified” but it meas nothing. Every type and how to use them! When I heard about this, I seriously felt sick. This is insane! Why you you purposely and potentially kill your child just so they can still eat a damn gluten-filled cookie?! Nailed it home again. There is no “one” definition. Believe me…I WILL follow up on you! I see some new ones to stalk! Omg! This is the sweetest surprise! For each and every platform! Great tips you should be implementing! It is NOT a walk-in-the-park. Some old movies are actually pretty creepy, if not scary! I think the oldness adds to the charm of the creepiness, you know? 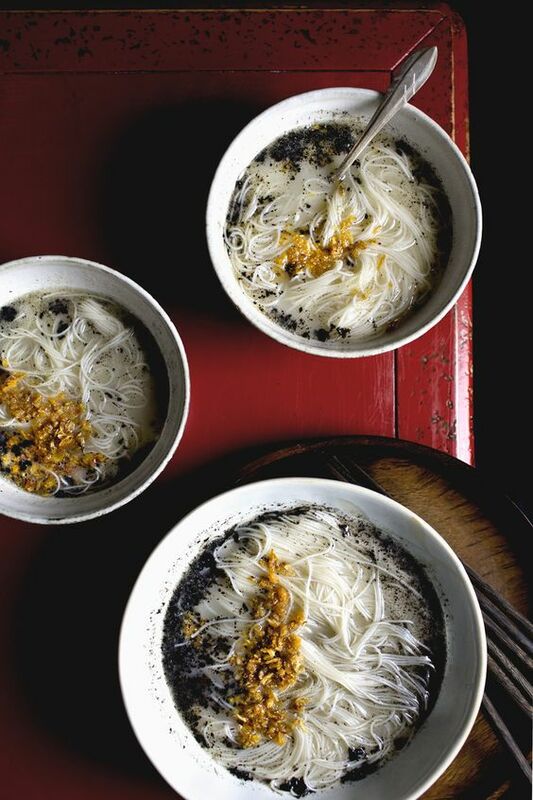 Longevity Noodles with Black Sesame and Crispy Shallots. This is a stunning noodle bowl! 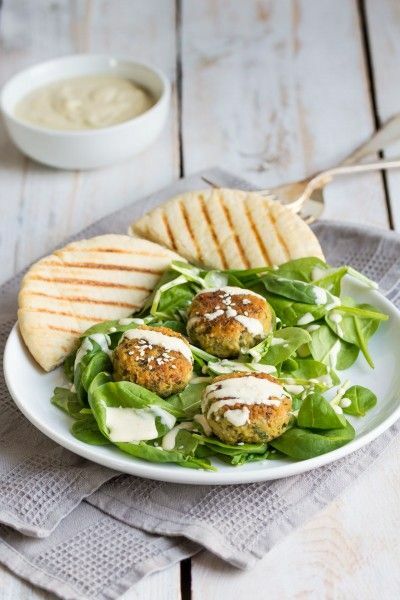 Falafel Salad with Orange and Lemon Tahini Dressing. Perfect falafel, if I do say so! 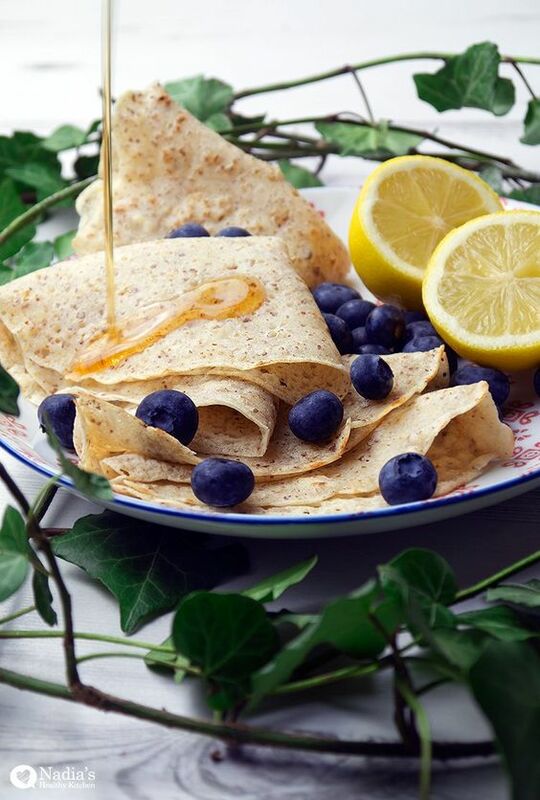 Gluten-Free Vegan English Pancakes. Look at the thin crepeiness! 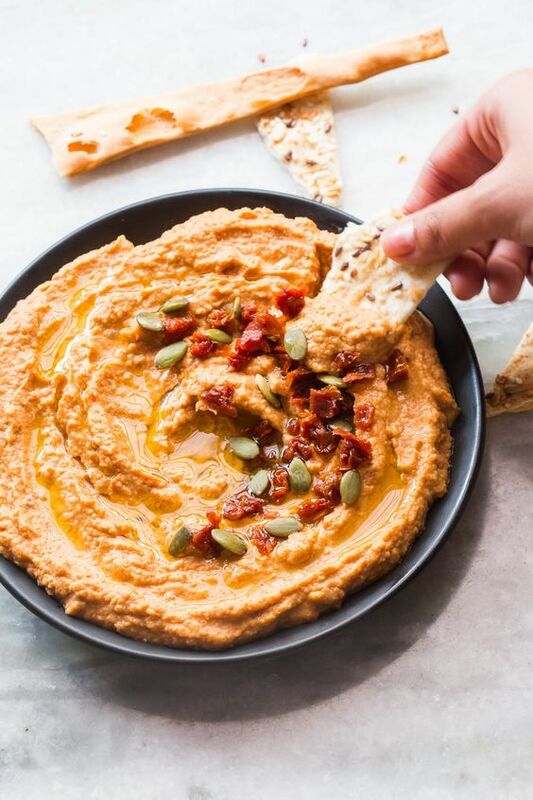 Creamy Sundried Tomato Hummus. I love the smokiness of sundried! 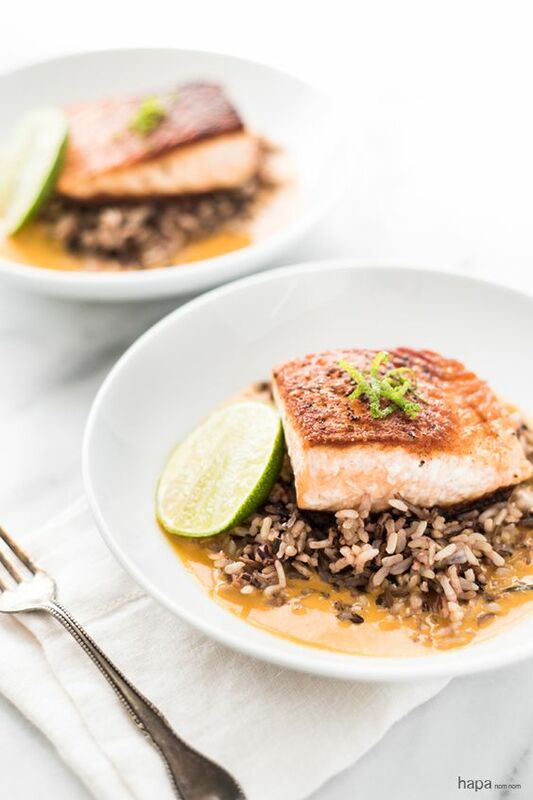 Pan Seared Salmon with Wild Rice in Coconut Curry Broth. Who wants dinner?! 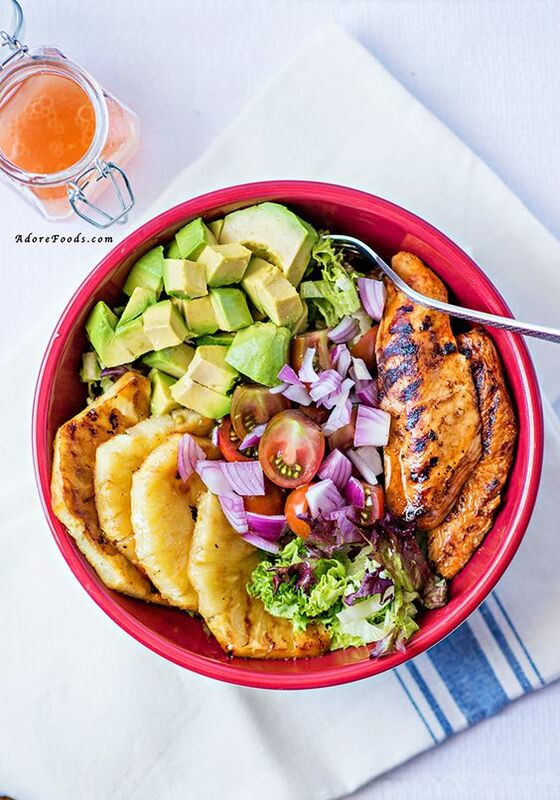 Peri Peri Warm Chicken Salad with Lime Dressing. I’ve been making chicken salads all week this this chicken recipe! 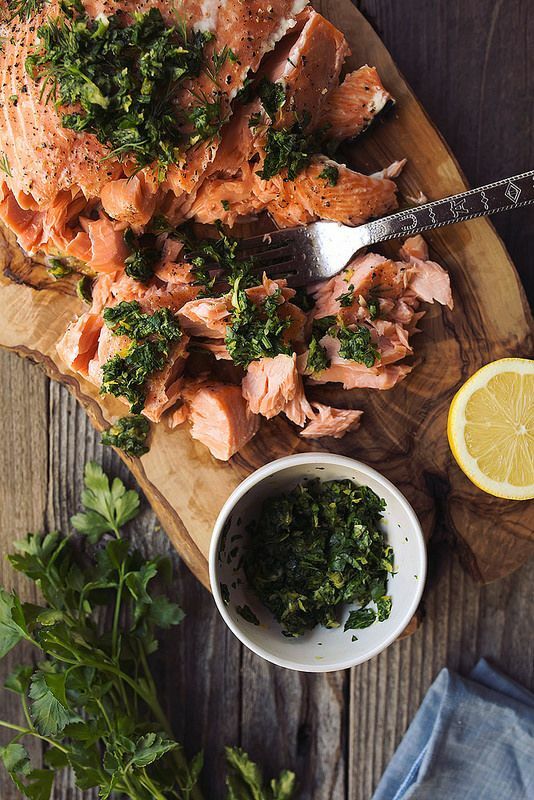 Slow Roasted Salmon with Meyer Lemon Gremolata. I need to slow roast! 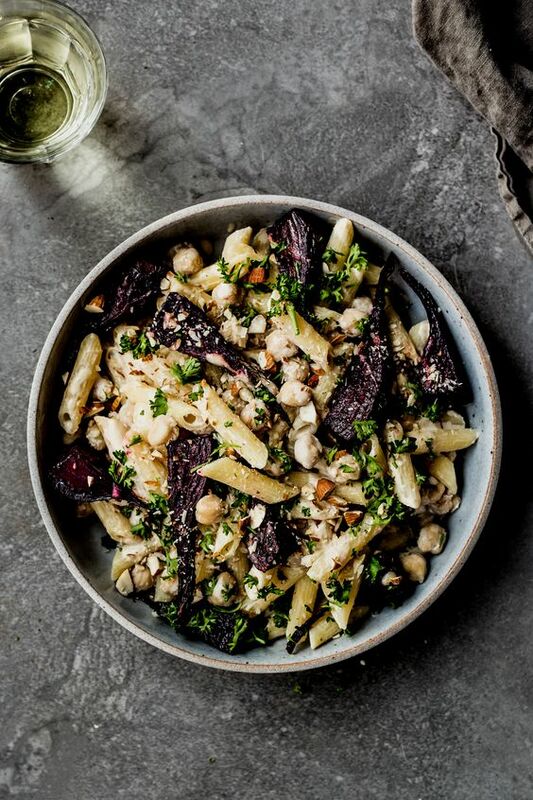 Beet & Chickpea Pasta with Lemon Tahini Sauce. Everything I love!!! + The satisfaction you get from finished 2 formal lab reports and a 3 page ethics essay….time to relax! + Breakfast in bed or fancy dinner (for V-Day)? + Have you tasted the greatness that is Daiya cream cheese? I’m late to the game here, but I haven’t had “cream cheese” in, um like, 5 years!? Valentine’s Day was a fancy steak dinner at home. Too cold to go out. 🙂 Great post. Have a wonderful week. I enjoyed the post the habit loops. Creating habits is such a great way to reach goals and the habit loops are a great visual! The coschedule post on how to promote your blog: I found great info on e-mails and will be making some changes. Thanks for sharing! But a dinner out sounds fun! Pre-V day hoorah!! Yum! I love that falafel salad <3 all those flavors! And that overthinking article really hit close to home 😀 thanks for shraing! Love love love the 105 blog promotion tactics! It was so helpful! Thank you for sharing so many great links 🙂 hope you have a great weekend! That post was packed! I need to really give it a look again! This is going to be the awesomest Valentine’s Day because of Walking Dead! I can totally see me and my boyfriend munching on a Chocolate Lovers Cake and starring onto the TV screen. We LOVE walking dead – I’m so excited! Hahaha! Scary Valentine’s win! And yes! Always homemade for any and every meal! Cheers my dear! I liked Carla’s post on habit loops and the “falling behind in life” article too! They were both great reads!!! Yes! Pancakes should always be hearts anyway! SO EXCITED TO USE IT TO MAKE GLORIOUS THINGS. <3 hehehe, thank you again!!! I’m assuming you’re not in college? That state article was interesting! I’m from North Dakota and have had bison burgers maybe like twice in my life. So funny! Happy Friday, gorgeous girl!! I hope you have a wonderful weekend! Way to go on finishing up your reports and essays! There’s no better feeling than handing a project over and knowing you don’t have to worry it anymore! I totally get your cream cheese excitement. I couldn’t live without cream cheese, haha! I think for some reason I always thought Daiya had soy…but no! Totally allergy free! Haha! I LOVE everything under life, mind, body, spirit! Gawddd I could relate to all of these and love soaking it all in. Amen to The Naked Truth article! Bone broth is just disgusting. Think about what that actually is! Code Academy is going to get a long look from me. Thanks for the great links and have a happy Valentine’s Day! No wonder why you don’t agree with Nj’s food, I hate salt water taffy’s! They are literally just eating pure sugar! We have MUCH better things…like…no. My husband and I will be watching The Walking Dead. What a fun round up! I want to check out the link and discover what foods each state is known for. 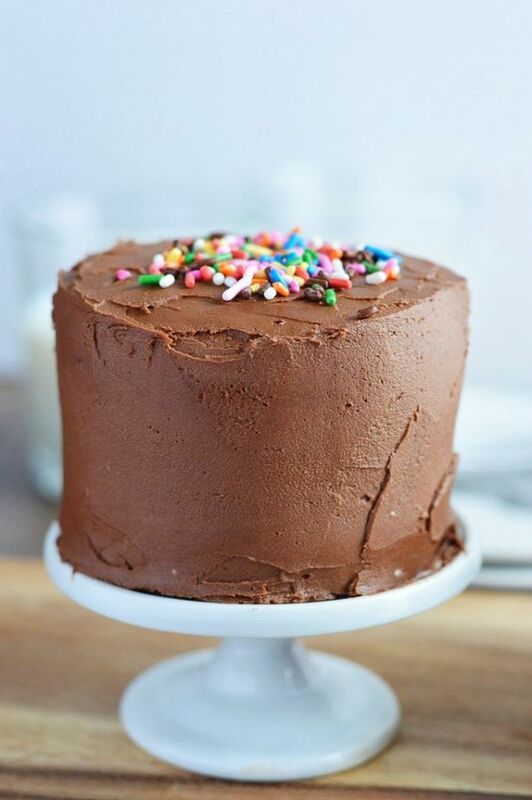 BTW that Mini Chocolate Layer Cake looks AMAZING. All those dishes look delicious! 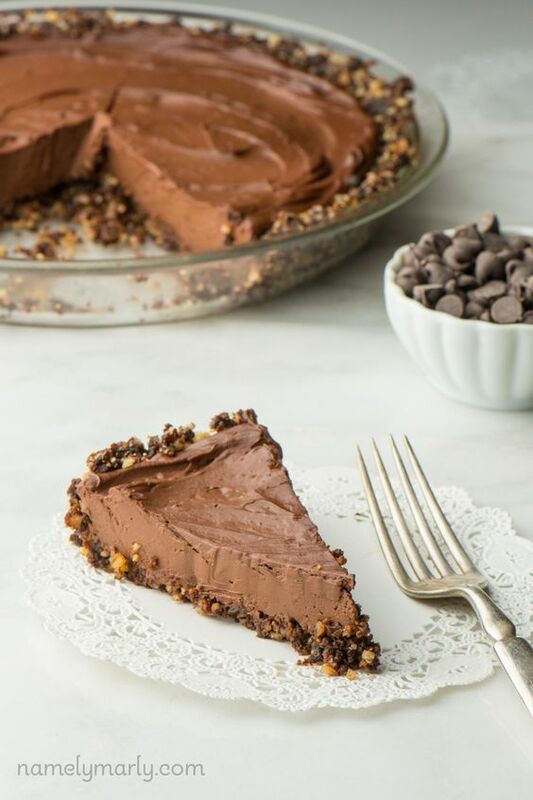 I am not vegan but that pie looks so tasty. I wonder if it tastes like the real thing? Of course! Vegan is always better! Gluten sensitivity vs gluten intolerance vs Celiac. SUCH an important distinction. Just like Crohn’s vs UC vs IBS. So sosososo different, yet many overlapping similarities.